The chef at the restaurant where I work makes this salad sometimes. It’s filling and delicious and easy to make. I love it so I’ve done my best to recreate it to share with you fine people. And eat it. I also made it so I can eat it. *Because the salad is so simple, the tuna makes a big difference so use the best quality tuna packed in olive oil that you can find. 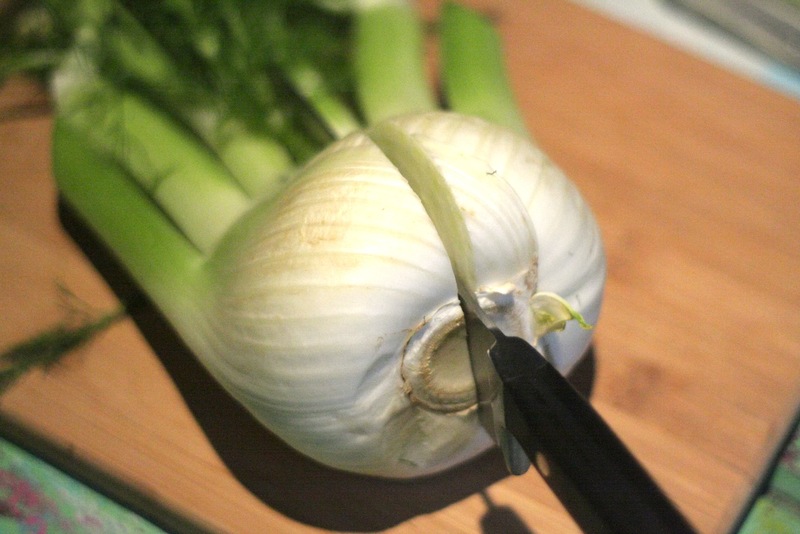 Cut the fennel bulb in half and use a mandolin to slice it as thinly as possible. 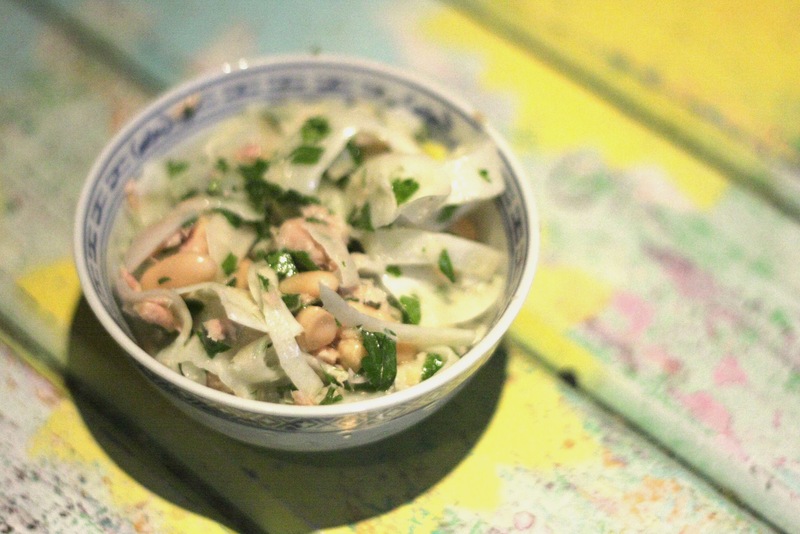 In a large bowl combine shaved fennel, white beans, parsley, tuna (not drained), white wine vinegar, olive oil and a generous pinch of salt and pepper. 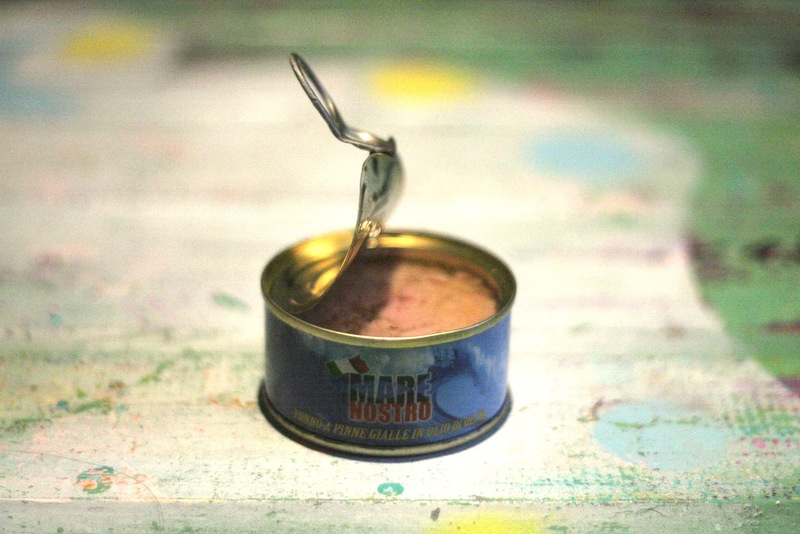 Mix together with a fork until tuna is broken up into evenly distributed small pieces and everything is coated with vinegar and olive oil. For best results let the salad sit at room temperature for about 15 minutes to let the flavours meld and let the fennel soften slightly. The salad will keep in an airtight container in the fridge for up to a week.